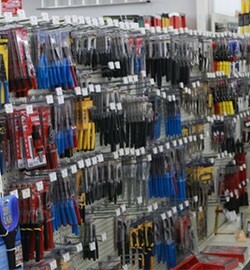 At Longenecker’s True Value we desire to be the best hardware store around. Our goals are to build relationships with our customers and to create an environment with our customers where they desire to shop our store first. 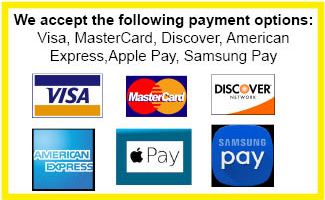 We offer quality products and services while providing outstanding customer service. The best advertising in the world is word of mouth. Our mission is To provide goods and services where quality, value, and customer service are important to the people in our community. 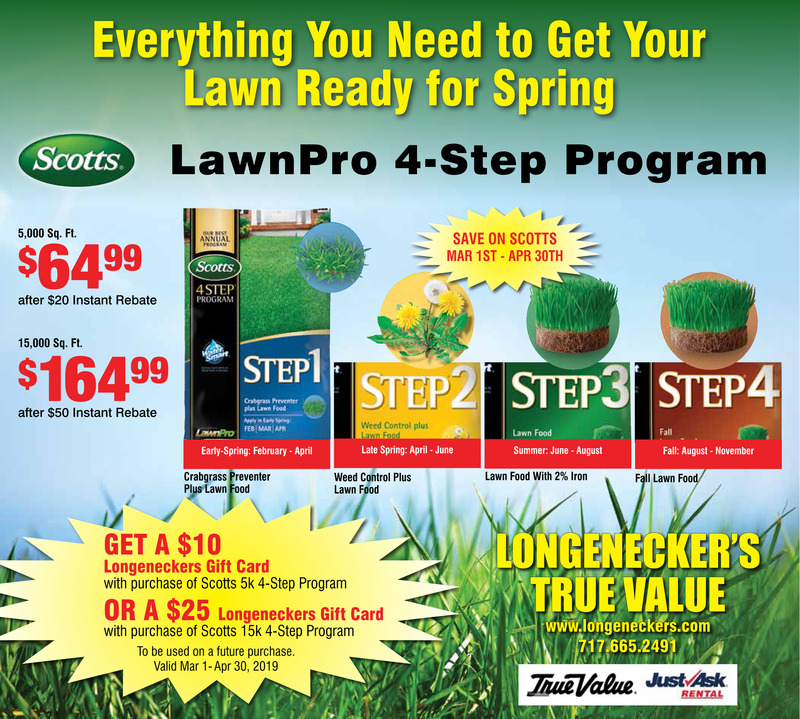 Longenecker’s Hardware was purchased as an existing business by Charles G. Longenecker in 1937. From very basic hardware the business expanded, with the General Electric franchise, into major appliances in the 1940’s. In 1960, Charles Longenecker’s oldest son, Fred, joined the business, and in 1962 they joined the True Value buying group which is now the largest wholesaler in the world. 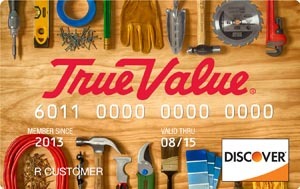 In 1999, True Value and ServiStar merged to create an even larger buying group called Tru Serv. By the mid 1960’s the 5,000 square foot store was “bulging at the seams” and Charles was busy making plans for a new larger store on the east side of town. Charles was stricken with cancer and died in 1967 at the age of 57, never seeing his dream fulfilled. His son, Fred, kept the dream alive, and in 1972 a new store three times the original size was opened in a shopping center at its present location east of town. In the same year, Fred’s brother, Bill, joined the company and the company continued to grow with a broader selection of merchandise. Space again became a problem. In 1988 Longenecker’s expanded taking the space vacated by the Weis store. This second expansion almost doubled the size of the original sales floor. In 1996, Longenecker’s expanded its selection of products and services to include renting items. The Just Ask Rental program developed and marketed by True Value as a niche market became part of Longenecker’s product and service mix. In 1999, Fred announced his partial retirement, and sold his shares of the company to three key employees. Steve Ober, Phil Martin, and Mark Foreman each had talents that he knew would keep the long-time family owned business going into the future. Along with his brother Bill’s leadership as President of the company, the four owners continue to develop plans to compete in the ever growing competitive hardware retail market. In 2007, the board of directors of Longenecker’s named Mark Foreman as President of the Company while Bill remained Chairman of the Board. Bill, Mark, Phil, and Steve continue to run the long-standing hardware appliance business together with a team of dedicated employees totaling 75. In December of 2008, we were all saddened by the unanticipated passing of Mr. Fred Longenecker. Fred will always be remembered as a hard-working conservative man that, along with his brother, Bill, grew the small town hardware store into a large, well respected competitive hardware and appliance business. In June of 2015 Bill retired from the business. We are currently managed and owned by three equal partners: Mark Foreman, Steve Ober and Phil Martin.